The Dow closed down near 800 points Tuesday at 25,027, which followed a rally into the weekend G20 meeting and Monday's buying climax high to Dow 26,000 that the mainstream financial media put down to a halt of Trade War hostilities between the US and China. 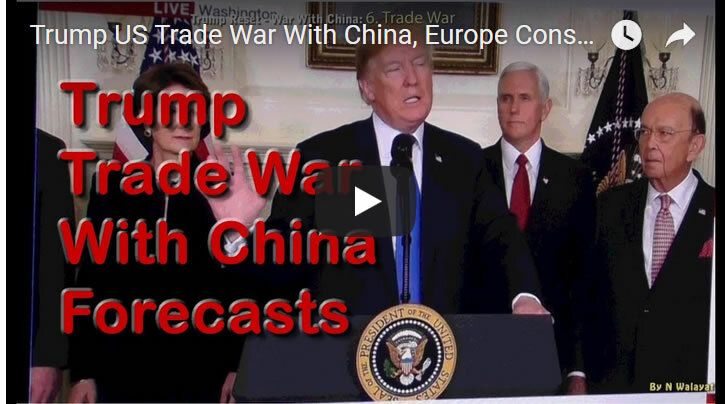 So the mainstream press remains clueless on the underlying geopolitical dynamics at work, for trade is only one aspect of the slow burn inevitable US - CHINA full spectrum WAR, as the emerging super power attempts to displace the worlds existing super power as I covered at length in dozens of articles and videos over the past 2 years. Basically nothing much has changed since my update of 26th November (Dow 24285) , that warned whilst volatility was much higher than we had become accustomed to, nevertheless the overall trend forecast still remained intact. Which is where we still stand today as we move into the final leg of the stock market trend forecast. So yes, it is not pretty but my expectations remain for a SANTA RALLY to Dow 27k. The rest of this analysis has been first made available to Patrons who support my work.